The controversial documentary "Sled Dogs" claims to show dog neglect and abuse is common practice, but many in the dog sledding community say the film is flawed. Canadian authorities investigate report on the slaughter of 100 sled dogs. 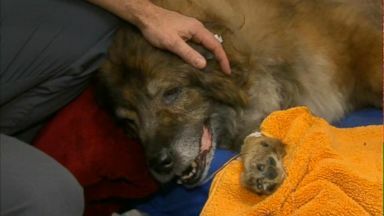 The pup, a shepherd mix named Saint Vincent, required immediate medical care.